As it turns out, the west coast celebrates Christmas just like the rest of the United States. I wasn’t certain, but am glad to see it’s true. After buying a tree earlier last week, Katie and I waited until Christmas Eve to actually decorate it. We had to go through the still packed boxes in our garage before finding the right ones. 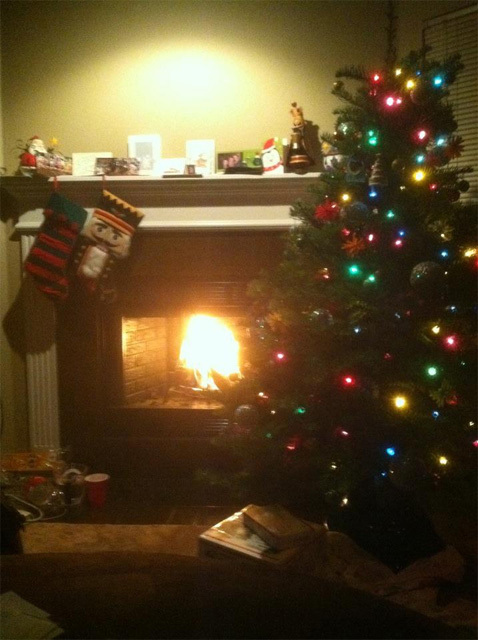 We unpacked our decorations and enjoyed a wonderful tree by our fireplace. With the tree decorated we got dressed and went out to do some shopping. Living in Seattle gives us access to a few new stores and we’ve been slowly exploring them. Brands like Trader Joe’s, Frys, and World Market. None of these are in Orlando so it’s awesome to finally get to check them out. World Market was the one we explored with our primary goal being to purchase items to use in stuffing each others’ stockings, and the second goal being to find a tree topper. At the store we bought the first Nutcracker I’ve owned since I was a child. As a kid I had a sizable collection of Nutcrackers, literally probably nearly 50 of them. I had begun collecting them as a 7-8 year old, and kept collecting up into my teens when I lost interest and got rid of them. I think we sold them at a garage sale – I can’t remember for sure. I regret not having the collection any more, while I’m sure it’s not a major collection of any financial worth – it still brings back memories. In any case, once we finished up at World Market we took to exploring the rest of the area around Bellevue and trekked around the mall. In the mall we continued our hunt for a tree-topper. We found a wooden table decoration of a female angel holding a heart, though not technically a tree topper we thought it would work wonderfully and could be tied with wire or some other means to the top of the tree. With our primary missions completed we indulged in the ultimate mall treat: Auntie Anne’s pretzels. On our way to dinner, I knew we were running early but I wanted to allow us enough time in case of traffic or getting lost. When we arrived with a half hour to spare I decided to take the opportunity to explore some more, so we kept driving and came to a dead end loop in a quaint shopping area that abutted Lake Washington. After sitting and enjoying the quiet Christmas eve on the lake we got up to head back to the car and on the walk back Katie spotted a woman carrying fresh baked goods. It merits explaining that my family has a tradition of having monkey bread on Christmas morning, it’s not a long standing tradition but it’s one I am particularly fond of and one that Katie and I intend to keep. But up to this point of time, we had not found a store selling it – fresh or frozen. So the bakery was our hailmary pass. 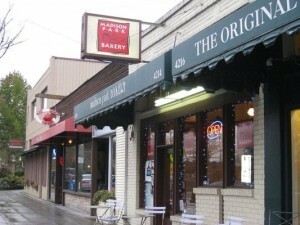 The bakery was the Madison Park Bakery and they were in the midst of closing up shop for the holidays, leaving for a week. We had a wonderful chat explaining our delight in finding monkey bread, as well as getting cookies for Santa and for us. They were quite generous with extra cookies and giving us a bag of sweet buns. We’ll definitely be going back. Our dinner was fantastic. Expensive, but fantastic. 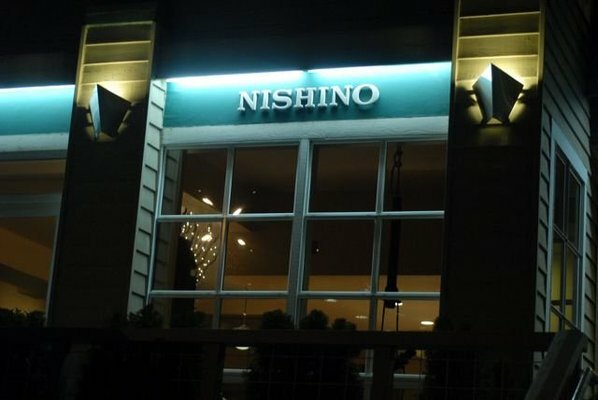 We enjoyed wonderful sushi and the only thing which let me down was a soba noodle bowl, but I am willing to overlook it as the sushi was truly fantastic. Did I mention it was fantastic? Because it was fantastic. During dinner we chatted and talked about Christmas, about this year and marveled at the fact that we now lived on the west coast. I remember the feeling when we moved across Orlando from the west side to the east side and how “odd” it felt – now we’re on the opposite side of the country and I’m feeling perfectly fine with it. I’m off work until the 3rd of January, and our goal is to get moved into the house during the time off. Also during that time I need to get my drivers license and license plate moved up to Washington. We’ll see if the west coast DMVs are as unbelievably disorganized as they are on the east coast.